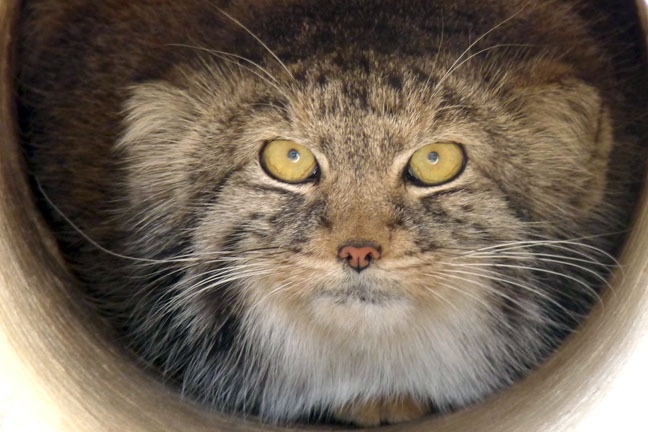 The Pallas's cat is also known as a Manul. About the size of a large domestic cat, the manul is covered with long course fur, sandy to grey in base colour with white tips on the guard hairs which gives an overall 'frosted' appearance. The legs are short and stumpy compared to the overall body size - the small broad head has high set eyes, and low set hair covered ears. The head has a striped facial ruff. The tail of the manul cat is tipped with black and has darker rings toward the end, similar dark markings can also be faintly seen across the side of its back. 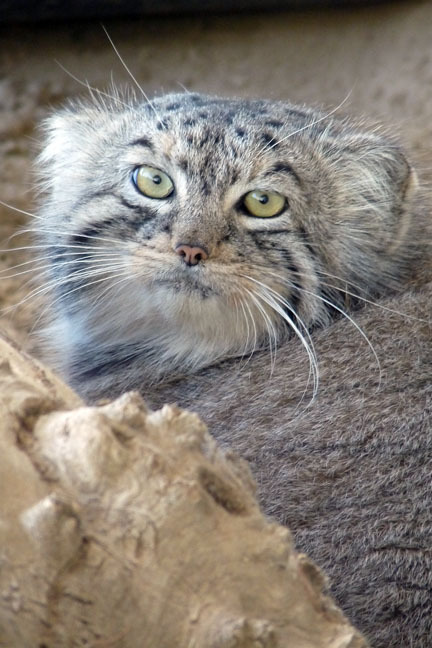 The range of the manul extends from Iran through southern Asia to parts of western China.